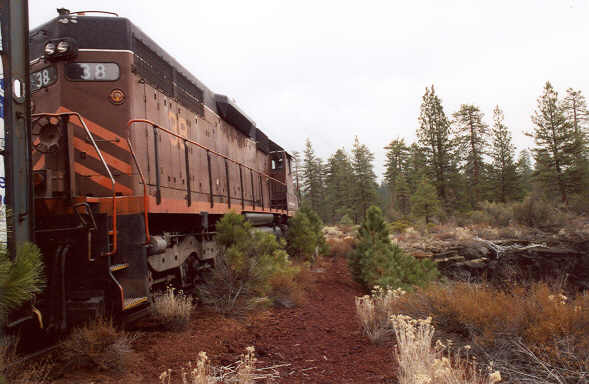 On 13 November 2003, Roger Titus rode one of the last Lookout Jobs that the McCloud Railway would ever run. 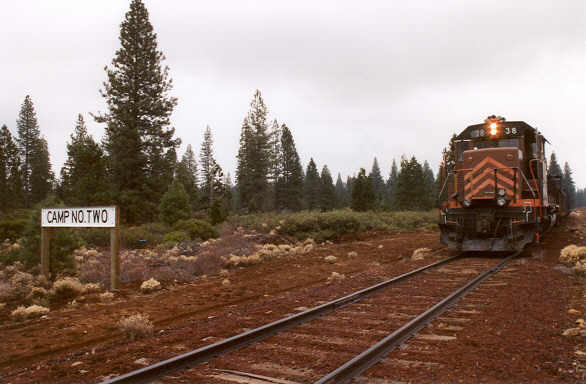 The news about the haulage agreement broke a few months before, and the last run was to run in a little over one month after these pictures were taken. 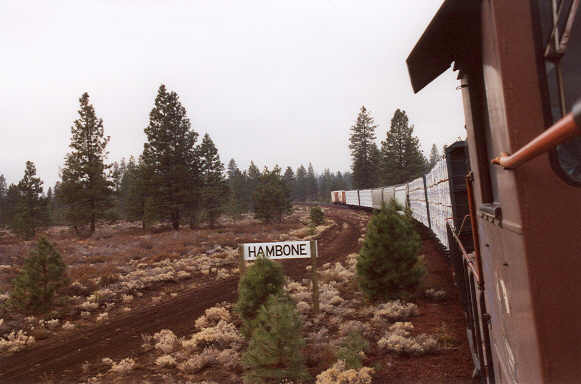 The #38 passing through Hambone with an unusually long eastbound freight...four lumber loads from the Sierra Pacific Industries sawmill in Burney and three loads of Diatomaceous Earth from the Dicalite reload at Cayton. Looking back from the front porch of the #38. 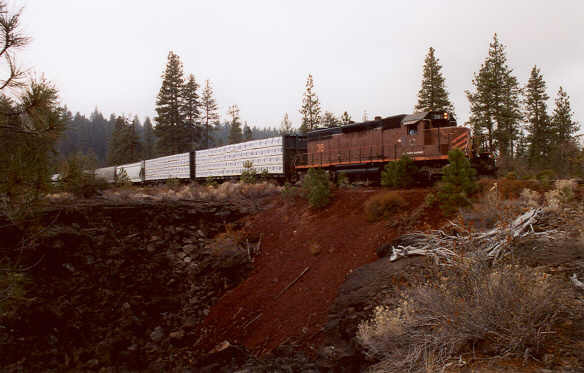 Shortly before reaching Chippy Spur the railroad crosses a collapsed lava tube. 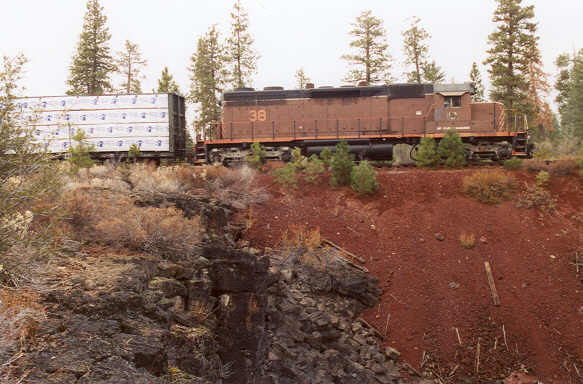 Another shot of the #38 crossing the collapsed lava tube. One more shot of the #38 at the collapsed lava tube. 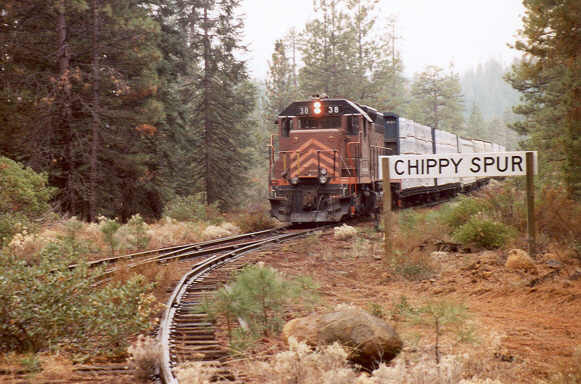 Shortly after passing the lava tube the train passed Chippy Spur. 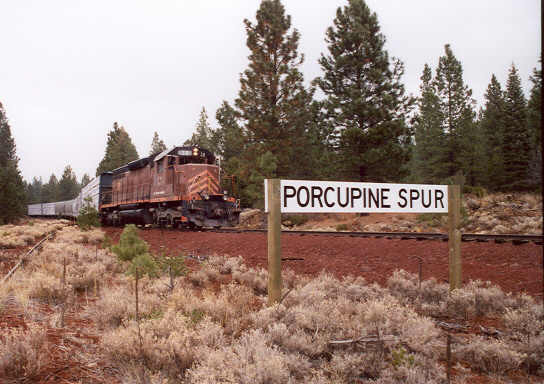 The #38 is seen here passing the spur into the cinder pit at Porcupine. 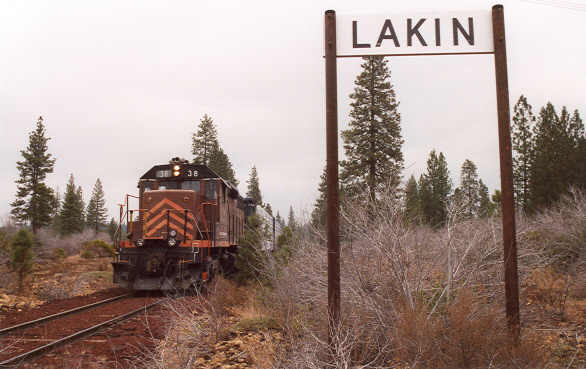 Two miles beyond Porcupine is the former siding site of Lakin. 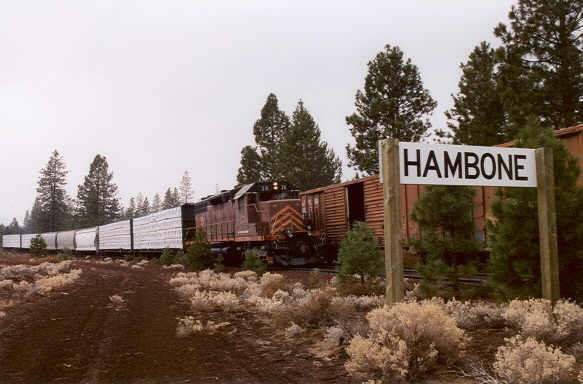 The #38 passing Camp Two. 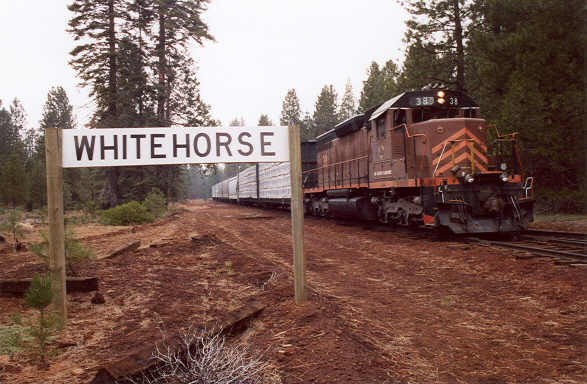 The #38 rolling past the old logging camp site of White Horse.